If you’re from Iowa, Kum & Go is probably a familiar name. The convenience chain, headquarter in West Des Moines, has been a part of Iowa communities for more than 55 years. Their commitment to Iowa makes them a perfect fit as a sponsor for the state’s first ever Christmas market. We’re excited to welcome them as a Silver Sponsor for Christkindlmarket Des Moines 2016! Kum & Go has a commitment to giving back to the communities where they work. Each year, the company donates 10 percent of their profits to causes they care about. They give charitable gifts, sponsor nonprofit events and partner with nonprofits to create impactful campaigns. Recently, they began fundraising efforts for Habitat for Humanity in their stores. In addition to their focus on charitable giving, Kum & Go has a focus on arts and culture. This commitment makes them a great connection for Christkindlmarket Des Moines as we work to expand cultural opportunities and education here in Iowa. Thank you for your support, Kum & Go! If you’ve been following our blog, you might have seen how important vendors are to creating a successful Christmas market. Christkindlmarket Des Moines is now one step closer to providing them at our event. 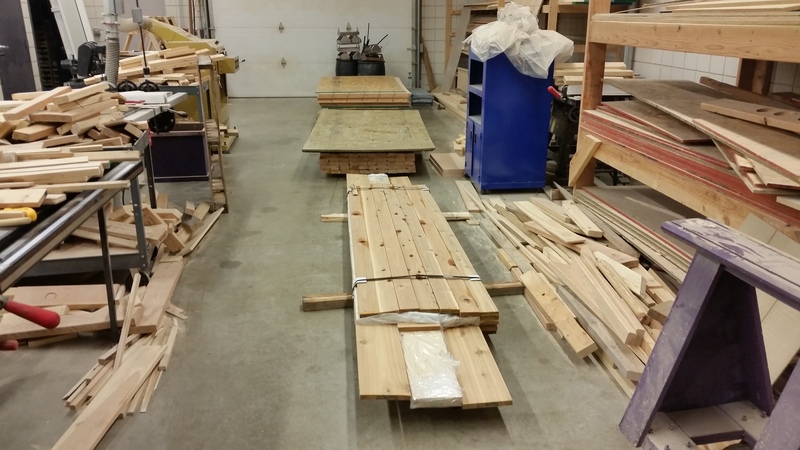 Materials for our first vendor stall were dropped off this week at Waukee High School. Starting in August, industrial arts students in the school will finish building the remaining stalls. Before production starts, it is important to remember where the stalls began. Annie Vo, with OPN Architects in Des Moines, volunteered her time and talent to design the stall. See the sketch below to see the beginning of this project. As production begins in the coming months, Christkindlmarket Des Moines will continue to move forward. It’s great to see a project that has been two years in the making come to life. We’re so thankful to Jack Schulte, Waukee’s industrial technology instructor, for helping this partnership get off the ground. 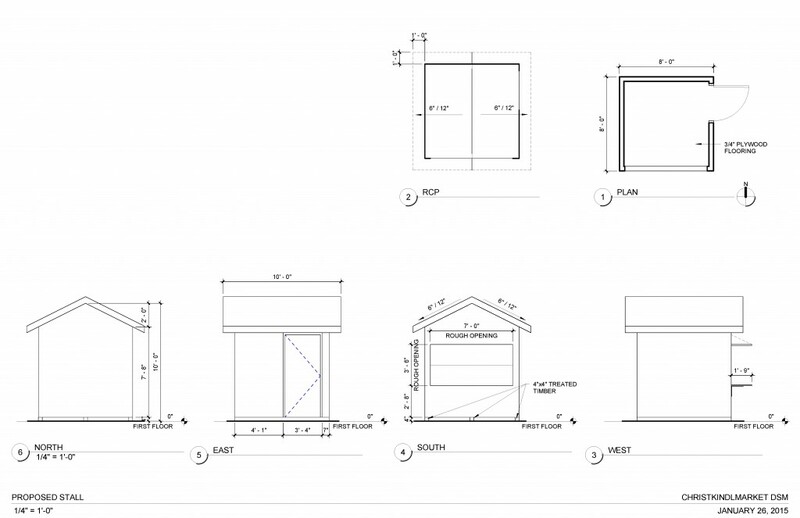 We’re excited to see his students bring our vendors stalls to reality. Be sure to follow our Facebook page to continue to see progress on the project! Check back as the year goes on to see more of what it takes to make Christkindlmarket Des Moines a reality! 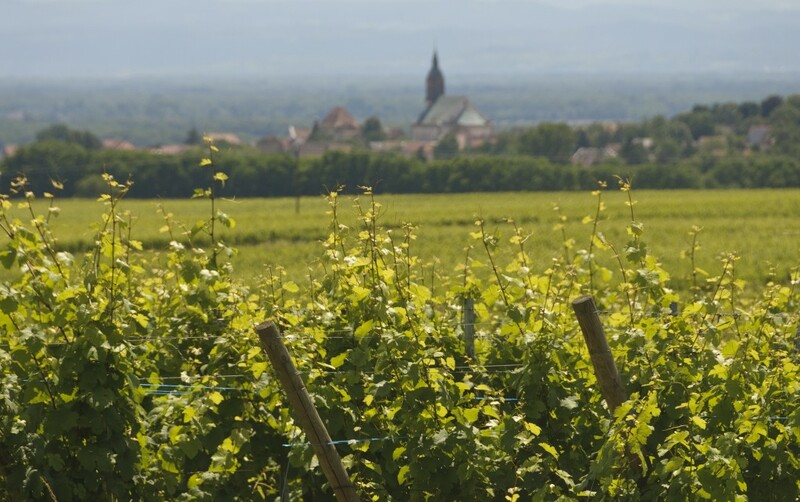 Experience the flavors of France at an exclusive wine and food tasting hosted by VOM FASS to benefit Des Moines European Heritage Association (DMEHA). This private event features samples of 4-5 French wines selected by certified sommelier Jeff Yanecek of Okoboji Wines. Enjoy French-inspired small bites prepared by VOM FASS owner Melissa Bartholomew, farmhouse cheeses from The Cheese Shop and VOM FASS vinegars and oils paired with artisanal breads from La Mie. VOM FASS Des Moines is locally owned and offers exclusive cask-aged vinegars, exquisite oils, unique spirits and liqueurs direct from the cask, as well as select wines which may be sampled at the shop. The shop opened March 2012 and is celebrating its four-year anniversary. Ample parking is available in the front and rear of The Shops at Roosevelt with convenient front and rear access into the store. Proceeds from the event will benefit Des Moines European Heritage Association and the production of their signature event, Christkindlmarket Des Moines, taking place this December 2–4 in Western Gateway Park. Additionally, ten percent of all VOM FASS product sales during the event will be donated to DMEHA. Spots are limited, so purchase your tickets today. Though Christkindlmarket Des Moines is a new event, our goal is to become a local tradition where families can come together to celebrate their history. That’s why The Rasmussen Group is the perfect fit as a sponsor for our organization. A family tradition in its own right, the group is now run by the fourth generation of the Jensen family. The Rasmussen Group manages twelve construction companies that cover a range of services from concrete and asphalt supply, hauling to bridge construction. In addition to their construction work, the company has been working in their community for over one hundred years. They donate money for scholarships, serve on community boards and volunteer. Their involvements include Anawim Housing, Habitat for Humanity, United Way of Central Iowa and Y Camp from the YMCA. Christkindlmarket Des Moines is excited to welcome Rasmussen Group on as a vendor stall sponsor. We hope that our event will someday resemble their company—long-standing, steeped in tradition and multi-generational. Now Seeking Vendors and Performers! Christmas markets are more than just seasonal events. They are cultural experiences. If you don’t believe it, read the post written by our newly added Board Director, Doug Whittle. 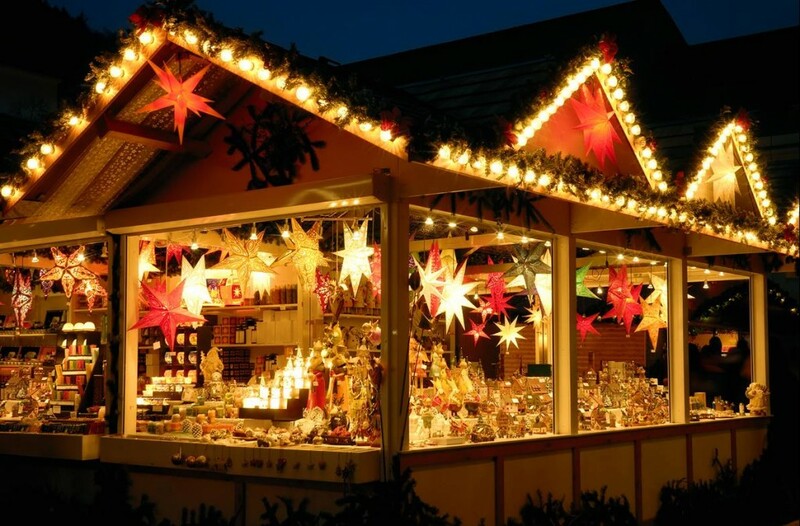 It paints a vivid picture of what makes Christmas markets so popular around the world. Des Moines European Heritage Association is excited to bring that experience to Des Moines, but we can’t do it alone. We need vendors and performers to help us create the entertaining and educational experience of Christkindlmarket Des Moines. Applications for vendor stalls and performers (both general and stage) are now available and must be completed by June 15, 2016. Why is finding vendors so important to us? They are an essential part of any Christmas market. After all, there would be no market without them. Vendor offerings of handmade gifts and specialty items create a shopping experience for visitors unlike any other during the holiday season. Shoppers can find nutcrackers, Christmas ornaments, jewelry, clothes and toys for children of all ages all in one place. However, don’t think vendors are limited to just gifts! Traditional food and drinks are some of the most popular offerings at Christmas markets around the world. Is there anything better than hot spiced wine (Glühwein) or roasted nuts on a cold December day? Performers at Christkindlmarket Des Moines are just as important for creating an immersive atmosphere for visitors. Whether it’s traditional folk music, clogging, yodeling or choirs, each act adds to the experience. Each one is an opportunity to share heritage and tradition with attendees. 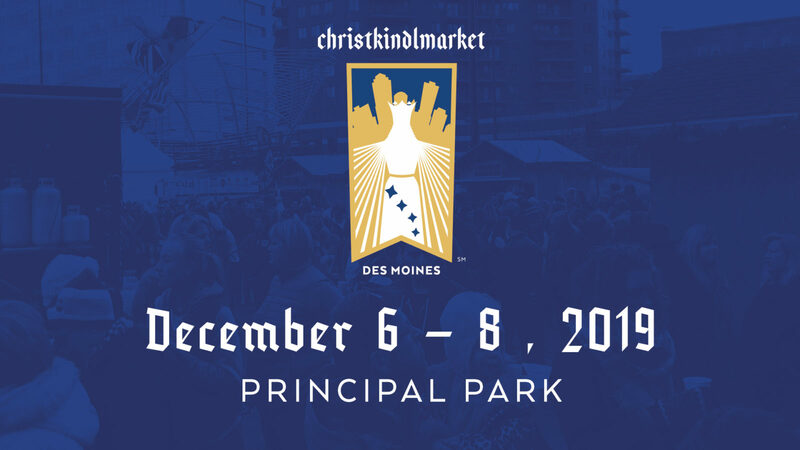 If you or your business is interested in participating in Christkindlmarket Des Moines in either of these capacities, please read more on the process on either of the applications. Creating a Christmas market takes a lot of work. There are donations to gather, plans to make with the City and entertainment acts to schedule. Before that can be done, it’s important to have a way to distinguish our event from the 20 other Christmas markets across the country. That’s where our creative sponsor Darcy Hines Designs is essential. Her work has helped create Christkindlmarket Des Moines’ brand. She began working with Christkindlmarket Des Moines in July 2015. During that time she worked with Des Moines European Heritage Association board to create our logo and brand. Some of her work can be seen on our Christkindlmarket Des Moines website and Facebook page. As for inspiration, she looks to Christmas markets from across the world. Though she hasn’t yet attended a Christmas market, this research has helped her understand why people love them. 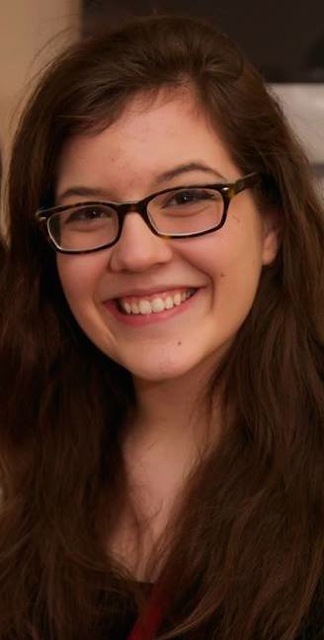 Anna VanWaardhuizen is an Illinois native living in Des Moines while attending Drake University. She is a junior studying public relations and leadership. In addition to working as an intern with the Des Moines European Heritage Association, she works on campus and serves as president of Drake’s chapter of the Public Relations Student Society of America. Happy hour might seem like an opportunity for getting a great deal, but they can be much more than that. For instance, our first fundraising event for Christkindlmarket Des Moines will be a happy hour event at Royal Mile in Downtown Des Moines. On February 25, we will meet from 4 to 7 p.m. to talk about our mission as Des Moines European Heritage Association, share our travel experiences and have an chance to grab a drink. Ten percent of sales during that time will go to DMEHA to help produce Christkindlmarket Des Moines in December. Our group will meet in The Red Monk, located on the second floor of The Royal Mile. As the area’s only Belgian bar, it’s the perfect setting for our event. The decor is beautiful and the selection of beers is unmatched in the area. Not only do they serve Belgian style beers and imports, they have 90 different varieties. Second, there will be great deals for our attendees. Happy hour specials are available until 6 p.m. and The Royal Mile is offering Hoegaarden, a Belgian wheat beer, on tap for $3. This is an easy and fun way to help raise money for Christkindlmarket Des Moines. Why is fundraising so important for us? It’s what’s going to power Christkindlmarket Des Moines this December! As a non-profit, we rely on fundraising to help us produce this event. Our team of volunteers has many great plans, but we need funds to make those ideas reality. It’s especially important now as we host the event for the first time. Doug Whittle is president and owner of his consulting and training company, Whittle Consulting Group LLC. He and his wife Dianne live in Urbandale and share a passion for the traditions of European Christmas celebrations. Their extensive European travels have included multiple Christmas seasons in Germany where they have attended hundreds of Christkindlmarkets in villages and cities throughout Germany. 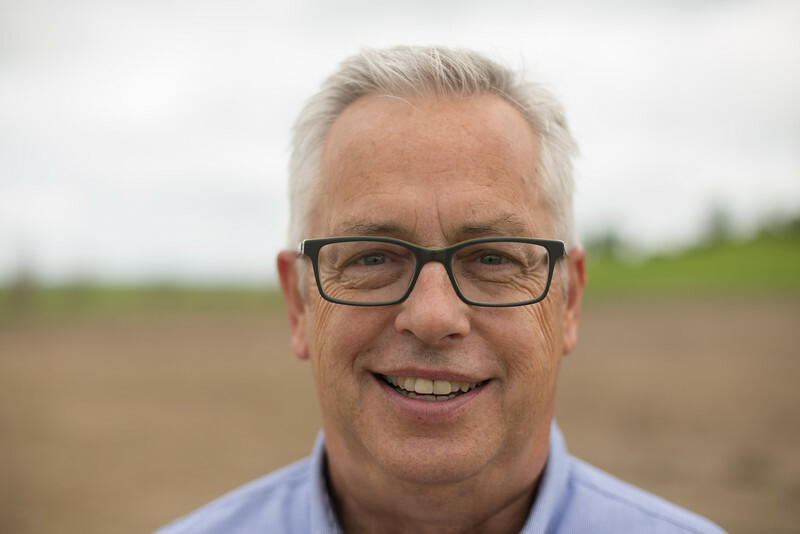 Doug brings his business expertise, his German heritage, and his love of all-things Christmas to his work as an active volunteer with the Des Moines European Heritage Association (DMEHA) in bringing the first-ever Christkindlmarket to Des Moines in 4-6, 2016. Speak with anyone who has ever experienced a European Christmas celebration, and chances are you will notice their eyes light up, their energy level rise…and any attempts to switch them to another topic will become one of your greatest challenges. Regardless of the country where it’s held or the name of the actual multi-day celebration, Christmas in Europe casts a seemingly magical spell over its participants through a multi-sensory experience that you will taste, smell, and feel in the weeks and months that follow the event. The first thing you will notice about Christmas in Europe is that it’s not limited to one single day on a calendar. Instead, villages, cities, and regions across Europe host outdoor celebrations that can range from a 3-day weekend to a full month, with many of them staying open through noon on Christmas Eve. The “markets” as they are commonly referenced, date all the way back to Middle Ages. They are open-air community events typically held in the town square of small villages and in multiple locations scattered throughout larger cities. In Berlin, for instance, there are as many as 70 outdoor markets taking place simultaneously. There are even markets set up outside the train stations and airports in Germany. Young and old alike gather in celebrations that reflect the unique heritage and customs of a particular country or region through food and drink, dances and processions, costumes, crafts, and ceremonies. In every market, you will find yourself surround by the towering beauty of centuries-old buildings and cathedrals. The market area literally glows at night from flickering candles and torches and thousands of twinkling lights strung among evergreen-decorated wooden market stalls, yesterday’s version of today’s “pop-up” stores. The stalls are small huts made of wood that are typically arranged in rows. In some villages, these huts are the same ones that were used 100 or more years ago. The number of stalls varies by the size of the market. The Nurnberg market boasts over 200 stalls, including a special market area set aside just for children. Walk through the rows of huts and be prepared for a multi-sensory experience for the eyes, ears, nose and taste buds! Music from choirs and small brass bands blends with the laughter and chatter of people gathered in jovial conversations. Regional foods are freshly prepared while you inhale the tantalizing aromas of cheese-covered noodles, savory meats roasted over open fires, cinnamon and sugar-coated nuts, picture-perfect desserts and candies dipped in kettles of dark, melted chocolate, freshly-baked pastries and breads, and hot, simmering alcohol-laced drinks, the most famous of which is the German mulled wine called Gluwhein. Scattered among the food and beverage huts are vendors displaying and selling a vast array of items that can range from candles and soaps, to delicate lace and hand blown glass, to wood and metal objects of art. Most items are hand-crafted and reflect the unique heritage of that geographic region. It is not unusual to meet a vendor who represents several generations of a family-generated craft. You will purchase beautiful hand-knit caps, mittens, scarves, and sweaters to keep you warm in the crisp December air as you walk through the rows of stalls. In one stall, you will see hundreds of delicate, glittering hand-blown glass ornaments for your tree. The next stall might be filled with intricate hand-carved wooden arches, pyramids, nutcrackers, smokers, angels, and stars. Another stall will be draped with lighted, multi-dimensional paper stars in intense colors and intricate designs meant for hanging in your entryway or windows. If you’re looking for the children on your Christmas list, you will have a hard time choosing between the stuffed animals, hand-carved wooden puzzles, mechanical wind-up toys, beautiful dolls, delicate to-scale doll house furniture, and colorful illustrated books. But just so you know, the key rule of shopping at these markets is this: If you like it, buy it! Because some of the markets are so large, you may have difficulty relocating the specific stall when you decide to go back to buy. And for certain, as you move from region to region, you will find entirely different crafts and foods. In every market, you will find ample opportunities for live entertainment. It might be a local children’s choir that performs on the central stage set up on the steps of a cathedral. It could be a 4-person brass band playing traditional Christmas music. Other towns may feature dancers in traditional costumes. Street entertainers can range from puppet shows to mimes to magic. Most towns have an opening ceremony that heralds the beginning of the market and some villages even have an opening parade that showcases the local customs, costumes, and heritage. By the way, when you start feeling the chill of the crisp December air as you partake in all of these outdoor activities, you can rest and warm up inside the beautiful churches and cathedrals while you listen to vocal and organ concerts. In the weeks and months ahead, join me as I take you on a word-and-picture tour of just a few of the many German markets my family and I have experienced over the years, including Nurnberg, Regensburg, Seiffen, Dresden, and Leipzig. Better yet—come join the team of volunteers who will be bringing the first-ever Christkindlmarket to Des Moines on December 2-4, 2016. Whether you have actually experienced a market yourself or if you’re simply intrigued and want to make this a reality for Iowa, we need your talent, your energy, and your participation. If you’re interested in joining us, message the Christkindlmarket Des Moines Facebook Page or send Suzanne Hull an email (christkindlmarketdsm@gmail.com). Vitamin D. Studies have shown the main cause of the wintertime blues is the lack of proper sunlight. What better way to boost your mood than to get outside and feel the crisp air and sun on your face? Getting outside in the sunlight can be an instant fix to a seasonally caused bad mood! Seeing your surroundings in a whole new light. Another great reason to get outside is to see how the Earth transforms in the winter. I took the below picture while home for Christmas this past December. When there are leaves on the trees and grass on the ground, it’s easy to see how beautiful nature can be, but I was struck by the beauty of the leafless trees covered in a layer of snow. Not everyone gets to experience true beauty first-hand! You can act like a kid again. 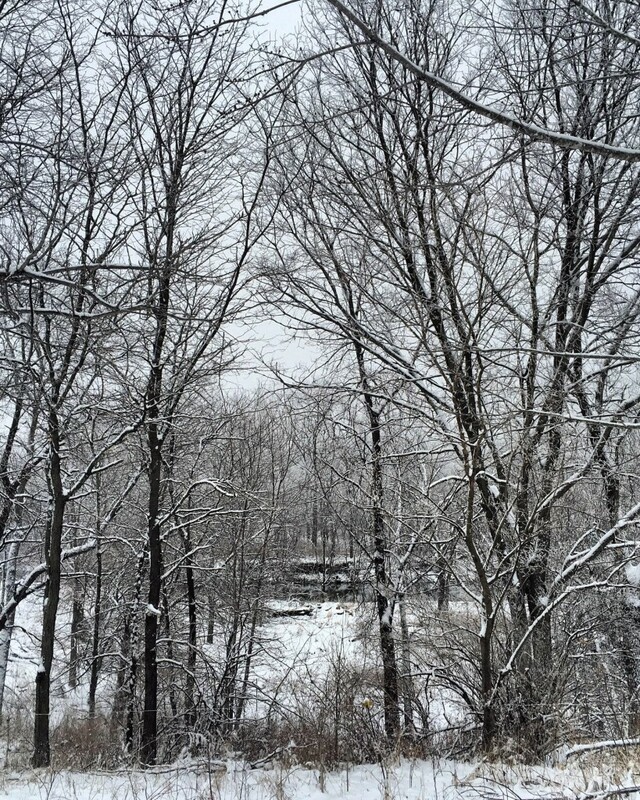 Nothing brings back some of my favorite childhood memories like a good snowball fight or a sledding marathon. Some of the best times spent growing up in Iowa were spent flying down a hill on a saucer sled or getting in an intense snowball fight with your friends. Being able to do some of these cherished winter activities only brings a smile to my face and an appreciation for Iowa winters! For a great workout. Because your body has to work harder to warm itself in the cold winter months, physical activity done in the cold can burn more calories than the warmer seasons of the year. Your heart gets a better workout too! Working out in the winter means you’re in better shape for spring, and beach season! Last but not least – Christmas Markets! As Iowans, we sure do love our Farmer’s Markets in the summer. What could be better than a European-style Christmas Market in the winter?! For those of you who haven’t had the chance to experience a Christmas Market firsthand, think: hand-craft goods, European sweets and desserts, mulled wine, seasonal activities, and full holiday spirit. Christmas Markets give us a chance to get out, get active, and enjoy a special occasion with friends and family during the winter, and definitely give us a boost to fight those wintertime blues. Be sure to keep an eye out for more information and mark your calendar’s for Christkindlmarket Des Moines coming to you December 2016! I’m an Illinois native living in Des Moines while attending Drake University. I’m a junior studying public relations with a concentration in leadership development. I also work on campus and serve as president for our chapter of the Public Relations Student Society of America. In my free time, I love showing off Des Moines to visiting family and friends, reading mystery novels and binge-watching as many Netflix episodes as I can fit in one night. I was looking for a way to get more experience in the various aspects of public relations and marketing. I found the Des Moines European Heritage Association through my school and thought it would be a great fit. Now I get to learn more about European culture, event planning and marketing. Even better, I get to help produce an event that showcases just how special Des Moines is. There are practically endless reasons to get involved. First, the group planning the Christkindlmarket Des Moines has a contagious excitement. The passion of our volunteers shows how important this event will be when it comes to Des Moines. Second, what better way to bring a little more culture to our city? Lastly, there are so many ways to get involved. There’s an opportunity for everyone, from donating, sponsoring, planning or even just attending.